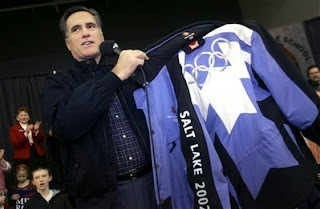 FOX News announced that Mitt Romney won the Nevada Republican Caucuses today. Republican Mitt Romney won Nevada’s caucuses Saturday while John McCain and Mike Huckabee dueled in the South Carolina primary, a campaign doubleheader likely to winnow the crowded field of presidential rivals. Democrats shared the stage in Nevada, where Hillary Rodham Clinton and Barack Obama vied for a caucus victory and the campaign momentum that goes with it. LAS VEGAS (AP) — Republican Mitt Romney easily cruised to victory in the barely contested Nevada caucuses, putting another notch in his win column and adding more delegates to his pile. Across the country, his rivals battled in a hard-fought South Carolina primary. The AP reported Mormon voters were a key to his win in Nevada. Early returns showed him taking 46 percent in the state, followed by Ron Paul and John McCain with 15 percent each, Mike Huckabee with 9 percent, Fred Thompson with 10 percent and Rudy Giuliani with 3 percent. The Romney Camp released a statement on the Nevada win for Mitt.